VeChain CEO Sunny Lu was eager to announce the new project Cahrenheit earlier this week. 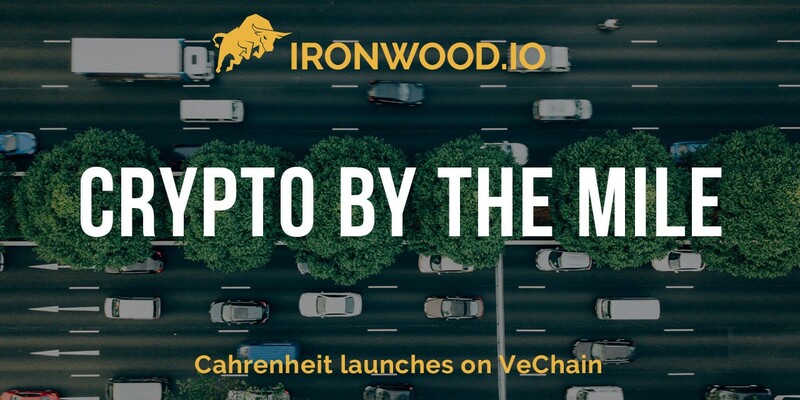 Cahrenheit is focused on solving the massive Information asymmetry problem found within the automotive industry, and launches on the already-thriving VeChain platform, adding to the growing repertoire of promising projects on their network. For those not familiar with the concept or the industry, information asymmetry refers to the problem where one party has a massive information gap over a differing party. This allows many auto dealers and servicers to have a huge advantage over their customers, often leading to distrust and the perception of the “shady” car salesman or the mechanic who charges you to fix a headlight fluid leak. Yeah, it’s going to be $300 to fix that busted bumper generator, sir! Cahrenheit aims to solve this issue by using the large network of SMEs (small and medium automotive service providers) as well as relying on enterprise data users to help them collect their core user data. Networking through these channels will allow the generation of real-time driver data on vehicles, giving the most up-to-date history possible and easily making that data available to customers, which helps reestablish trust in an industry that’s strongly in need of it. Also, Cahrenheit already has a huge network lined up to get the process zooming out the gates in the form of Klover Insurtech, one of the largest InsurTech companies in China that boast an impressive 30,000 SME strong network with over 1 million customers. In addition to VeChain’s relationship with BMW and Renault, this new project is sure to get the ball rolling fast. However, the value doesn’t stop just there for Cahrenheit as they have a multi-stage plan that will result in five separate self-titled “CAH” programs on the platform. Restoring trust is just one feature of this promising project, as the value, they offer to consumers is more than just the information gained about purchases. Cahrenheit is also looking to partner with insurance companies to keep them informed of their customers’ driving habits, which will reward safe and conscious drivers with discounted rates; and when using the Cahrenheit program to track their data, they even generate tokens for use on the market! This offers massive value to consumers on several fronts, and it it’s even likely to up the resale cost of their vehicles given the superior data they have on them compared to owners who do not. You mean to tell me I can earn tokens and lower my insurance rates just by driving?! On the retail side of things, business owners can also look forward to more than just more trusting customers. CAH’s network will even allow them to sell services on the network, which offers great marketing opportunities. Shops that perform quality service will be able to finally stand out from the pack. 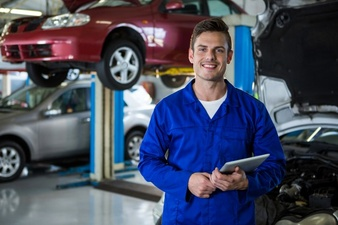 No longer will you go to a mechanic solely because of a friend telling you that he’s the best he’s found; you’ll have the hard data to back up quality service in the industry. Active users of the program will get to spend those tokens earned to make a dent in the cost or even for free! This project feels like it has a high possibility of being yet another project with a bright future on the VeChain platform, proving once again that VeChain is a blockchain company to be reckoned with and one you should be following closely — and the same can be said for Cahrenheit. If you need even more proof of the promise of the project, did we mention that project lead Joe Lee orchestrated the Didi/Kuaidi merger that’s valued at over six billion dollars? Didi is often called the “Uber of China,” and is also looking to launch its own blockchain project. We know for sure we’ll be keeping a close eye on upcoming developments, and you can look forward to a more in-depth report on Cahrenheit in the future as more information is released and closer to their public sale date. For more information read all about the Cahrenheit press release here.